I am proud to introduce my friend and publishing house sister, Eliza Tilton. 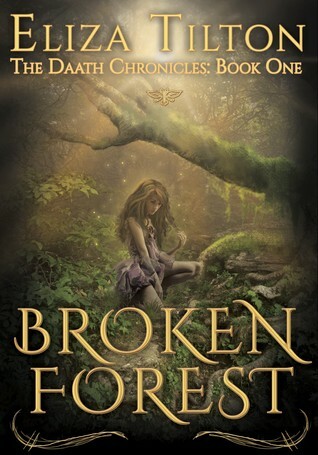 She is here to share a little bit about her recent release, Broken Forest. Hopeless he'll never be more than the boy who didn't save his brother, 17-year-old Avikar accepts his life as the family stable boy, trying to forget the past. But when his sister, Jeslyn, is kidnapped, the thought of losing another sibling catapults him on a desperate quest. What do you like most about your main character, Avikar? What are his flaws? I have a soft spot for troubled souls. Avikar's trapped by guilt and when his sister get's taken, that guilt is what catapults him to save her. He tends to be a bit selfish and he doesn't realize it because he thinks he's doing the right thing. Since YA is so dominated by female MCs, I always enjoy getting inside the boy's head every once in a while. Why did you choose to write from the male perspective? What was it like for you? I've always been a bit tomboyish and had a lot of best friends that were guys. When guys are used to you hanging around, they tend to forget your a girl and act and say things they normally wouldn't. On more than one occasion I've said, "Hello, lady present." That usually gets a few laughs. I've taken all those years of listening to their stories and filed them away. Chances are I will NEVER use most of them, but it's good research. Broken Forest was always Avikar's story. Getting into his head wasn't as difficult as you think, maybe it's because I play a lot of video games and most games have a male lead character. If I get stuck, I always ask a guy, usually my husband who is brutally honest, a question about what a guy would do. Once you get into the character's mindset, the words kind of flow out. With Avikar, I did journal writing. The free flow thinking really helped me hone his voice. One of my projects is to release a journal of his. If I were to visit Daath, what sights should be on my itinerary? What dangers should I avoid? Well, you would want to stay away from the magical wildflowers guarding the entrance, one sniff and you'll fall asleep forever. If you can make it past those deadly beauties, I would find your way to the sacred grotto. In the grotto are magical butterflies, and if you're special enough they bestow a gift. Daath is a luscious green paradise, full of vibrant flowers and ancient woods, any place you travel, will be a sight to see. Oh, and if your a guy, you'll probably want to see Lucino's dollhouse, a house full of the prettiest girls from all of Tarrtainya. I read that you also enjoy writing fanfiction. What are some of your favorite subjects? You did? lol. Yes, I like fanfiction. It's funny, I wrote a Twilight fanfic back in 2008 when I was going through my Twilight phase--a Bella and Jasper love story. I spent 4 years writing it and to this day it still gets hits. I think it has a lifetime hit of 100,000? Maybe more since I last checked. The grammar is terrible because I was lazy...but no one seemed to mind. I like to read fanfics of Dragon Age 2 and I may have started one myself...fanfiction is a guilty pleasure and one I don't think I'll ever give it up. What's next for you? Any new projects coming up? Yes! I have a short story coming out in an anthology--details TBA, and I'm hard at work on Broken Forest#2. Thank you for being here, Eliza! Congratulations Eliza, it's always fun learning more about the writer behind the story! I'll have to learn more about fanfiction was the craze started with Twilight?